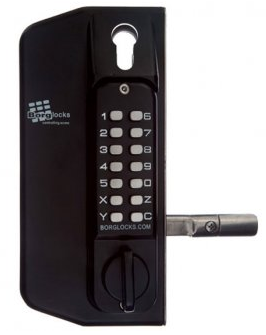 The Borg 3175 is a marine grade digital lock that combines dual keypads with a key override feature. The lock uses marine grade stainless steel and includes easy grip anti-ligature handles. This gate lock is designed to high standards of quality built for metal gates with 40 to 50mm posts. The self locking system is designed to be fully adjustable and built to be suitable for left or right handed gates. The two telescopic fixing screws supplied make the lock simple to fit and install. The Borg 3175 is highly favoured by gate builders due to its solid construction and easy installation. The dual keypads are coded to the same combination but can be changed to separate combinations as required. 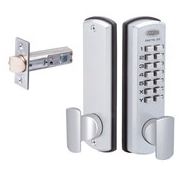 The Borg 3175 digital lock provides a robust security solution with more than 8,000 codes available. Changing the combination involves a simple procedure. For details about this lock or to place an order, contact us today for additional information. Our team can help you find the perfect security solution for your needs.